A perfectly tiled floor takes time, expertise, patience and money. Unfortunately many commercial projects come up against the natural enemy of perfection: deadlines. 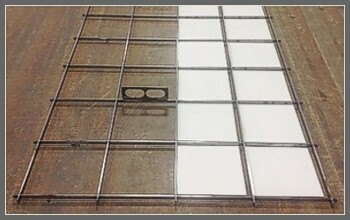 Ceramic Tool Company recognizes this problematic issue and manufactures tile setting frames to accommodate a flawless layout and a fast paced project schedule. Custom dimensions and leg sizes available. Call Today! We have been making tile racks for as long as we have been in business, including custom patterns and dimensions. Download our Size Chart. 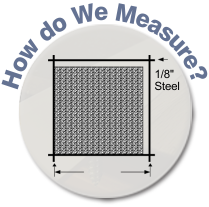 The steel takes 1/8" joint space, so we recommend a minimum joint size of 1/4" to allow for variations in actual tile sizes.